We returned home yesterday afternoon from an extended weekend vacation in NE Pennsylvania. We departed Warren, PA on the morning of Friday, April 19. I traveled by car; Bob traveled by motorcycle. We left home earlier than planned, with hopes of staying ahead of the massive rainstorm approaching from the west. We were successful. We encountered no rain during our drive/ride to Stroudsburg. Upon reaching Stroudsburg, we stopped at Triplets Family Restaurant for lunch. Bob ordered a seafood entree: I ordered a chicken entree. Our meals were reasonably priced, served hot and tasted delicious. Service was excellent. After lunch, we checked into the Flower Field Motel & Cottages, our home for the next 3 nights. We checked into Room #2. Our room had two queen-size beds, with a nightstand separating the two beds, a small round table with two chairs, microwave, refrigerator, a four-drawer long and low dresser, and a television on rolling stand. The bathroom was moderately sized. There was no telephone or alarm clock, and the door opened with a real key. With the exception of going to Walmart to pick up beverages and snacks for the weekend, as well as a stop at Burger King for a quick dinner, we spent Friday afternoon and evening relaxing at the hotel. Bob and I especially enjoyed sitting outside under the picnic shelter reading and surfing the Internet. You can see our car in the background. Our hotel was very close to the main street (Rt. 209); however, the street traffic did not disrupt our sleep at all. In fact, the noise level was very low throughout our stay at the hotel. If you vacation in the Stroudsburg area, I highly recommend Flower Field Motel & Cottages. Your accommodation will be a simple, but clean, room. In addition to the absence of a telephone and alarm clock in the room, there is also no iron, ironing board or hair dryer in the room. All of these items are available in the office. A complementary continental breakfast also is provided. You will find that the price is very reasonable compared to other hotels in the area. The owners of the hotel are helpful and friendly. We enjoyed our stay for the few days that we were there. Sounds like you two had a fabulous weekend. 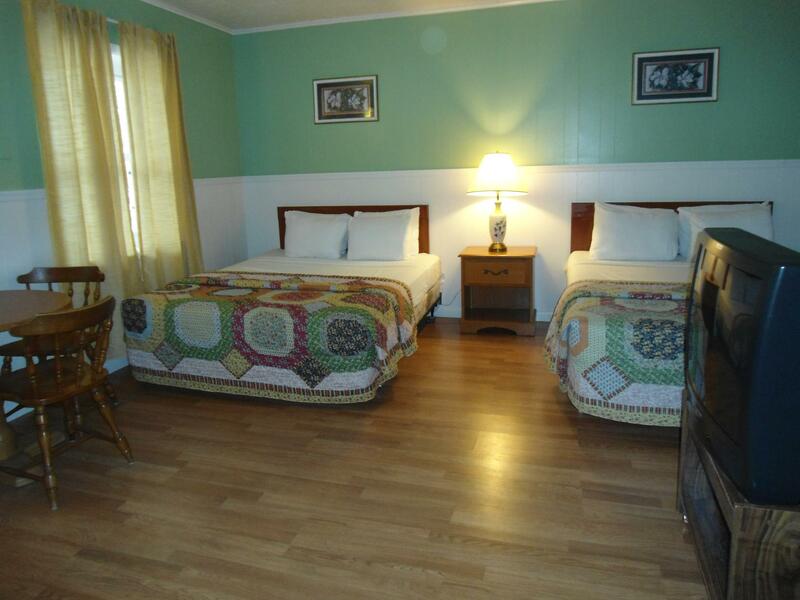 Nice motel –with all of the conveniences of home!!!! Dinner at the family restaurant sounded nice too… Can’t wait to hear more about your weekend.